Applications to all of these programs should be submitted at least six weeks prior to the preferred volunteer date. Please note that submitting an application for any of the high school volunteer programs does not guarantee acceptance. High school students who need volunteer hours for science classes or other requirements may contact the Volunteer Coordinator to request a job-shadowing experience. 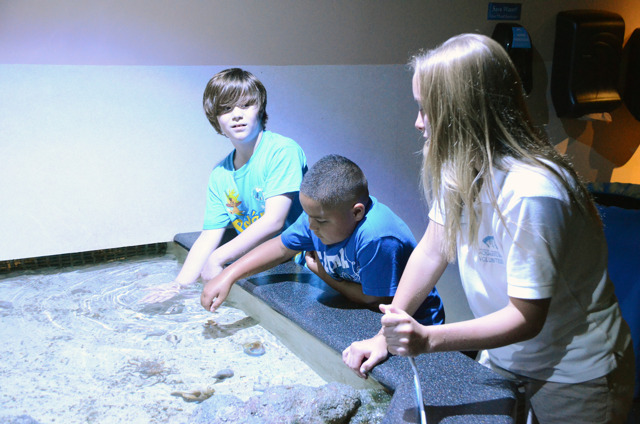 The Aquarium offers these opportunities during the school year only. For more information please contact Volunteer Coordinator Aly Mack at 252-247-4003, x286. 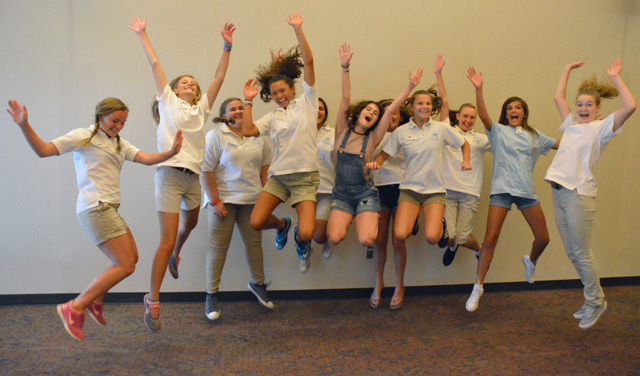 The Summer Junior Volunteer Program is open to all high school students, ages 14-17, who are genuinely interested in marine biology, zoology, animal husbandry and environmental science. 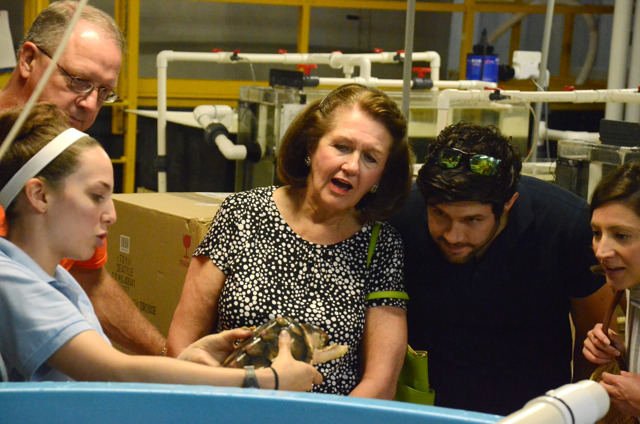 Those selected to participate in this program will have the opportunity to work with Aquarium staff and experienced volunteers in the Education Department. 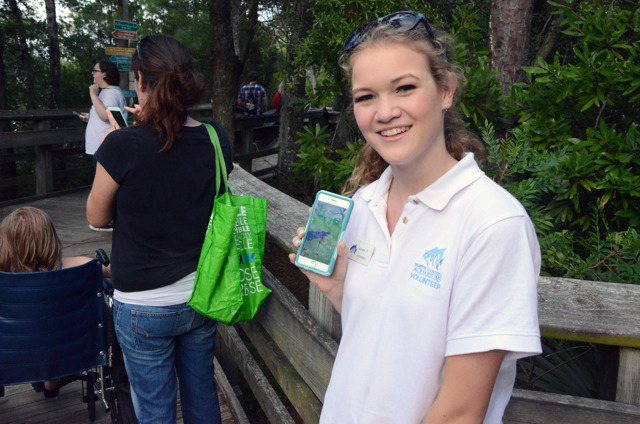 Junior volunteers work closely with experienced volunteers and staff. Throughout the duration of this program, there are opportunities to explore areas of personal interest. This program is designed to be fun, rewarding and interesting. 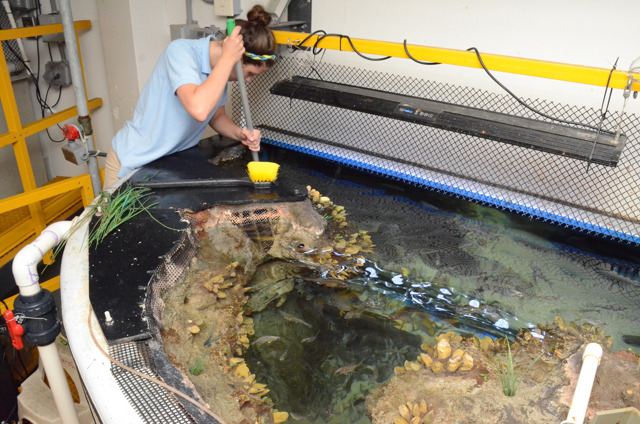 Teens who volunteer will be trained to work at these four stations: stingray touch pool, invertebrate touch pool, classroom, and information discovery carts. Please note that there are opportunities for Junior Volunteers to go behind the scenes with staff, however they will not be trained as a husbandry/aquarist volunteer. Junior Volunteers are selected through a competitive application and interview process. Applicants should be prepared to commit to the orientation and a minimum of eight hours per week for five weeks. To be eligible for an interview, the Junior Volunteer Application and one reference must be submitted. The deadline for applications is April 30. There is $25 fee for this program, due upon acceptance by the orientation date. Please submit your completed application and one reference to the Volunteer Coordinator Aly Mack. 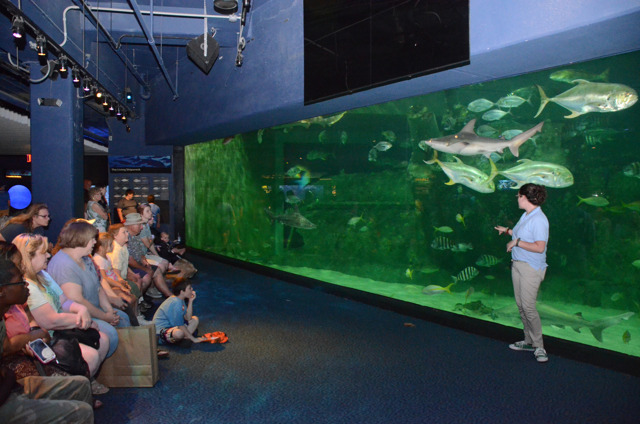 You can hand deliver the application and reference to the Aquarium or mail them to North Carolina Aquarium at Pine Knoll Shores, 1 Roosevelt Blvd. Pine Knoll Shores, NC 28512. For more information please contact Volunteer Coordinator Aly Mack at 252-247-4003, x286. Orientation is held once a month (on a weekend day) from September through March. Junior volunteers are responsible for educating visitors at touch pools, discovery carts, and the classroom. Please note, there are NO junior volunteer opportunities in husbandry, as husbandry volunteers are required to be at least 18 years old. If interested and eligible for this program, please fill out the application. Send completed applications to Volunteer Coordinator Aly Mack at 252-247-4003, x286. Fax:252-247-0663 Regular Mail: 1 Roosevelt Blvd. Pine Knoll Shores, NC 28512. 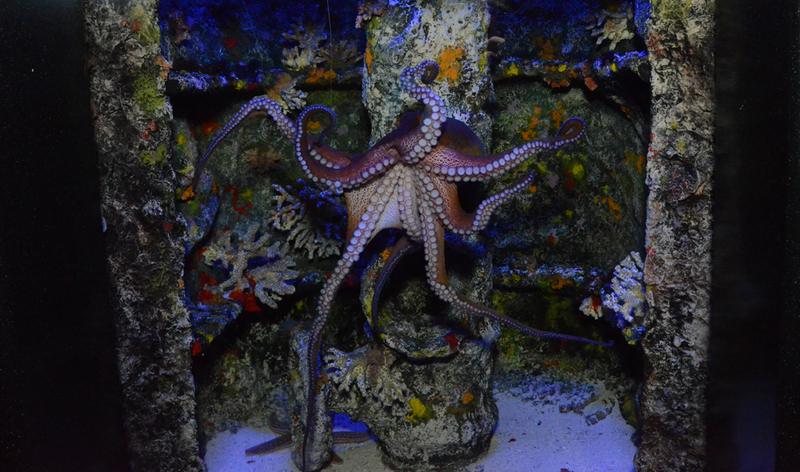 We would love to have you as a part of our Aquarium family. 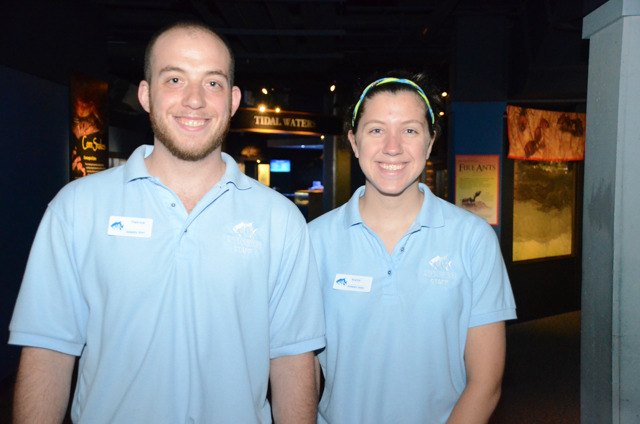 A limited number of college internships in Education and Husbandry are available each year at the Aquarium. The deadline for summer positions is in early March. Check the Pine Knoll Shores section of the employment listings page for application guidelines. 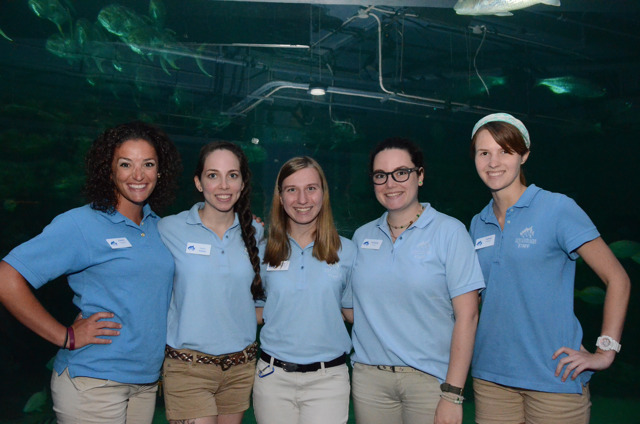 The North Carolina Youth Advocacy and Involvement Office (NCYAIO) also sometimes offers internships at the Aquarium. The deadline each year is in mid-January. Interested students – visit the NCYAIO website for qualifications, requirements and application information.